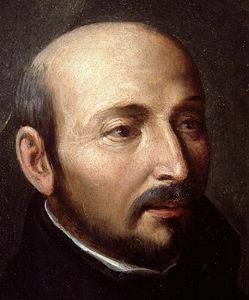 Íñigo López de Loyola (1491-1556) was a Spanish religious man, soldier and poet, founder of Jesus Company. He did some travels to Valladolid. In that days he established as a soldier and a writer. His time wars left a mark in Íñigo's life, like that one in 1521 in Pamplona, where he's injured in his legs. That caused he got convalescent and other events that caused a reconsideration of his life as knight. His faith was confirmed in special by a Virgin Mary with Jesus vision, and he became a God servant. Because of that, he travelled to the Holy Land intending to convert infidels. His religious literary work, Ejercicios espirituales, is published in 1548 and they are his philosophy base. He studied in Alcalá de Henares from 1526 to 1527, in addition to work in its Hospital of Antezana. At that time he had six followers, saint Francisco Javier one of them. Together, they found the Jesus Company in 1534. Íñigo is ordained as priest in Juny 24th of 1538. He was canonized in 1622. 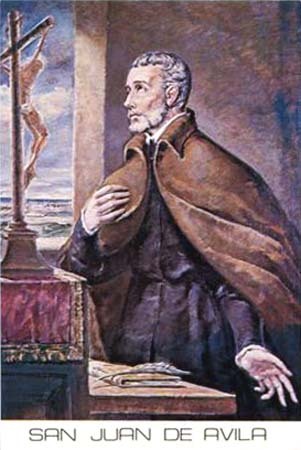 Juan de Ávila (1500-1569) is known as the catholic clergy patron saint. He studied art and theology in Alcalá de Henares in 1520, where he was Domingo de Soto's pupil. In 1526 he was ordained as priest. After his parents' death, he sold everything that he had and he did evangelization. He wrote a famous comentary to 44th psalm that was in El Escorial because it liked to Felipe II. He mixed with important people as Ignacio de Loyola, fray Luis de Granada, Teresa de Jesús... Accused unfairly by the Saint Inquisition from 1531, later he evangelized Andalucía, the south of La Mancha and Extremadura, supported the Jesus Company, organized the University of Baeza and was canonized in 1970. 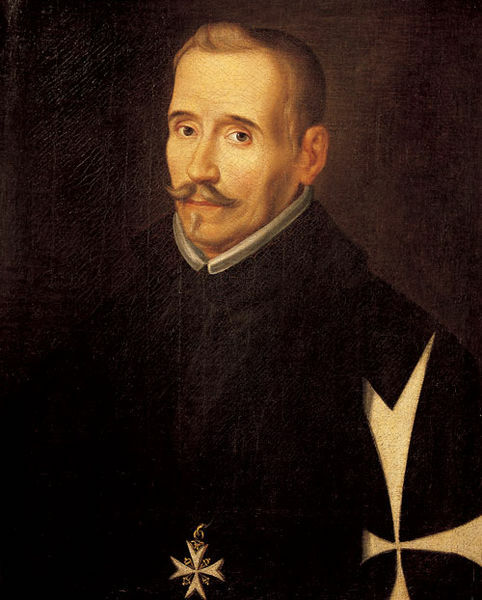 Félix Lope de Vega and Carpio (1562-1635), considered "the ingenious Phoenix" and "a nature monster" (M. Cervantes), was a great poet and dramatist of the Spanish Golden Age. He renewed Spanish Theatre formulas, which was starting to become a great show. Great figure Spanish Baroque Theatre, 3.000 sonnets, 3 novels, 9 epics, and 1.800 dramatic works were attributed to him. Met in life Quevedo and Cervantes, being enemy of Góngora. He studied for four years in the classrooms of the University of Alcalá de Henares. Among her novels, the best known is La Dorotea. Dominant of poetry, was really good in the drama with theatres as famous as Arte nuevo de hacer comedias en este tiempo(1609), Fuente Ovejuna (1611), La dama boba (1613) and El caballero de Olmedo (1615). 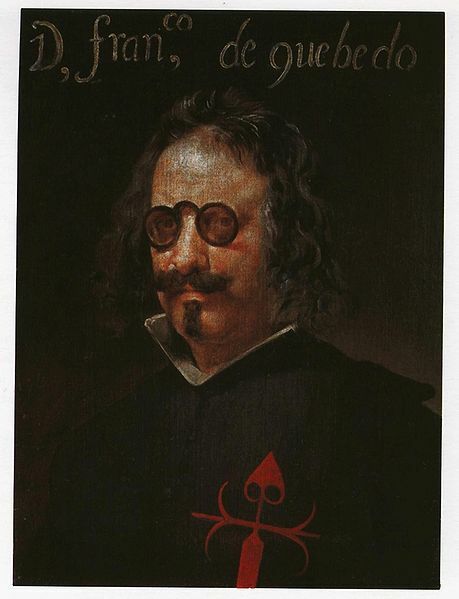 Francisco de Quevedo y Villegas (1580-1645) was one of the most important writers of the Spanish Golden Age. He met so famous writers in his time like Lope de Vega, Miguel de Cervantes and his enemy, Luis de Góngora, who was parodied by him in some of his works. Withouth reaching the Holy Orders, he studied theology in Alcalá. From his huge literary career are stood out his narrative works, like Cartas del caballero de la Tenaza (1625), Historia de la vida del Buscón (1626) and La Perinola (literary review written around 1633). Other celebrities of Alcalá de Henares were Juan Ruiz, Arcipreste de Hita; Queen Katherine of Aragón (the Spanish monarchs Ferdinand V and Isabella I's daughter); Felipe I de Habsburgo (Carlos I's brother); Manuel Azaña (II Spanish Republic president), etc.